Say the words ‘thrift store’ and you’re likely to get one of two reactions. ‘Oh, gross! Buy other people’s used stuff?” or “I love thrift stores! I find the best deals there.” I fall happily into the latter category. And I have found some of the best deals there. To make the most of your thrift store shopping there are a few simple tips we’ll go over. Like anything, you have to use some common sense. Visiting your local thrift store often accomplishes two things. You’ll get to know the routines of the store, what day they put out new clothing, which days are the most crowded and what types of merchandise they get in regularly. You’ll also come to know to the staff. Having a good rapport with the cashiers and floor personnel at the thrift store can work in your favor. Sometimes they will see something come in and set it aside for you because they know you have been looking for a size 8 pink little girl’s winter jacket. Once you have become established at the store and know their routines, you can cut your visits back to once a week or every other week. Just maintain good relationships with the staff. It can work in your favor. If you are in the market for something particular, say a bread machine, you may have to wait a while. Do your homework in the meantime. Look up the different brands and features each has. Know the retail price for the item. How else will you know if the thrift store price is really a good one or not? A good thrift store will put out merchandise in keeping with the seasons, just like retail stores. When you start to see Halloween merchandise in Wal-Mart, it’s time to start looking for costumes at the thrift store. Summer clothes will begin to arrive in early spring; winter clothes in late summer. Even the best rune stores can make mistakes. Things to watch for are those with many pieces. Children’s board games and toys, jigsaw puzzles and anything that comes as a set. You or your children will be so disappointed if you the item home and discover there are pieces missing and the item is useless. A box or bag of loose Barbie clothes or Matchbox cars is fine but if the game Operation is missing the bones,. You can’t play the game. 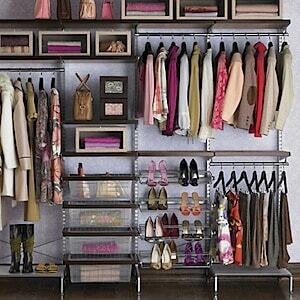 There are many types of thrift stores and each can be useful when trying to trim the budget. Let’s take a look at different types of thrift stores and what they offer. These thrift stores are run by companies with a nationwide presence. Goodwill sells gently used and even some new items, adding new merchandise daily. They focus on clothing for all members of the family, housewares, appliances and furniture. The proceeds from sales go to help provide job training and job placement assistance. Like Goodwill, Salvation Army provides used merchandise that has been cleaned and checked. Among the items they offer are clothing, furniture, household goods, sporting equipment, books, electronics and much more. Proceeds from their stores also go to help assist those less fortunate by providing rehabilitation services to adults. Most communities have some of these stores. They may be set up by religious or social service outlets with proceeds going to help a specific cause such as battered women, the homeless and other groups. They tend to have slightly lower quality merchandise but are still worth a look. The product range usually includes clothing, toys and housewares. I say “antique” stores because very few of those using the word antique in their name really have antiques. What they do have is second hand stuff. Much of it falls into the collectible category which is not necessarily bad. You may have a set of china that needs a few pieces replaced. This is a good place to look. They also get an abundance of things like books, silverware, drinking glasses. You can usually get a good price on these types of things. The used book store is a town’s little treasure. Eventually, copies of even today’s top 100 books will end up on its shelves. You can find the classics, old westerns, scintillating romances and books on just about every hobby or area of interest imaginable. Some offer a trade in policy where you can swap your books for certain books they have. Many bookstore owners have contacts and can help you find that out of print or hard to find copy that was your favorite as a child. You can get excellent books at pennies on the dollar from a used book store and better still, thy may buy them back from you when you are done. In the post “Get to Know Your Local Thrift Store” I discussed the benefits of getting on good terms with your local thrift stores. If you live in a small to midsized town, there maybe three or four of these within your town or neighborhood borders. IN a larger city, there may be too many to count. And even people in those small towns know that neighboring towns also have two or three thrift stores of their own. It is impossible to take advantage of all these places without help. Host a meeting of friends, family and anyone who might be interested in joining a thrift store shopping network. Ideally, these people would be from different towns or neighborhoods. At the kick off meeting, you discuss what thrift stores each of you are familiar with. Then each person provides everyone else with a list of the items they are searching for the most, the sizes if necessary and the price they are willing to pay. Armed with the list from the other members of the network, each person shops the stores in his area with an eye to finding a good deal on the selected items. Depending on how well you all know one another, you can either call the person and say “Hey, I found the toddler snow suit you were looking for” so they can come an purchase it or the shopper can purchase it for them. You have to trust one another’s judgment. Whether you make the trip to the store when you get the “I found it” phone call or you let the shopper pick it up for you, here can be serious disappointment if the item is not what you wanted. A wasted trip out of town or money spent on an item that isn’t right can cause problems. They best way to handle this is by limiting the size of the network and only working with people you know well and trust. If you choose to let the shoppers pick up the items on your list for you, you need to demand receipts from one another. If you give them cash up front, they can pay for it and give you’re the change along with the receipt. If they pay out of pocket, you need the receipt to show how much you need to reimburse them. All that is left is getting together to swap goods. If this is a close knot group, you may already be getting together regularly. Weekly or monthly meetings can be sufficient for this purpose. Just make sure if an item is needed by a particular date, the shoppers know this and you make arrangements to get the item from them. It is your responsibility to pick up special items and not put them out any more than they already are by doing your shopping. Saving money is a cause that is near and dear to most hearts just as saving the planet is. By using your old clothing to make reusable bags, you can actually appease both needs. The clothes don’t end up in a landfill and you end up using fewer of those eco-unfriendly plastic bags. 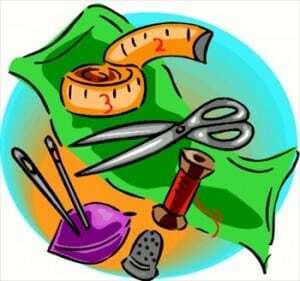 You also save money by not having to buy cloth bags because you’ve made your own from unwanted clothing items. These are the easiest bags to make. Take an old tank top and sew the opening at the waistband closed. The shoulders become the handles of the bag. Typically, tank tops are made of lightweight material so this tote shouldn’t be expected to carry anything overly heavy but for lightweight purchases, the bag is dream. To make t-shirt bag, turn the shirt inside out, Sew the bottom opening together. You can sew the bottom together just under the design on the front of the shirt if you want a shallower bag. If you do this, cut away any excess fabric. Cut away the sleeves but leave the original seam intact on the bag to help strengthen the bag. Use a large dinner plate, centered over the neck opening and positioned so half of the plate rests on the shirt ad half does not. Lightly trace a half circle around the plate onto the t-shirt. Cut along the arced line to make the bag opening. You can use the sleeves you removed to make pockets on the bag. Just sew them in place where ever they seem useful. Jeans make the sturdiest tote bags but they also take a little more work. You use the legs of jeans to make the tote bag. Using more than one pair, you can give your bag a striped look by using different shades of blue jeans. Lay out the jeans flat and cut out the fabric, leaving the long leg seams intact as these will be used to make the handles. Once you have the lengths of fabric cut out, you will need 9 rectangles of the exact same size. I use 13 inches by 5 inches. Lay four strips side by side so that the long parts are vertical. Arrange the fabric strips in whatever combination is pleasing to you, if you are using multiple shades of blue. Using any tight stitch setting on your sewing machine, sew the long edges of the first four strips together. Repeat for another four strips. You should now have a front a back panel. Place the two panels, right sides facing each other together and sew up the left and right seams. Use the left over rectangle to make the bottom of the bag. Center it at the front center of the bag and sew around the edges, including the corners until you have the whole section tightly sewn in. Take the one of the seam strips you saved from the pant legs and attach one end to one corner and the other end to the other corner of the front of the bag. Repeat with the other strip on the back of the bag. Before securing the second end, adjust the length of the strap to whatever suits you. You can decorate the bag with rhinestones, studs or even an old brooch to give it a 70’s feel. Shopping at a thrift store is nothing like shopping at one of the big retail outlets. You don’t generally go into a thrift store with a list and come out with everything on it. You need a different mindset for shopping thrift stores. You might actually have a list of items you are looking for but shopping a thrift store is more like going to yard sales on a Saturday afternoon. You might go to several and not find anything then suddenly come upon one that has most of the items you were looking for. Thrift store shopping should be done when you have a little leisure time and can spend time going through racks and shelves, looking for the treasure hidden there. With all this careful exploration you are bound to come across some items that are just intriguing. They might be unique or remind you of one you owned in the past. Over time you can spend a lot of money on doo-dads and what-nots if you’re not careful. That kind of defeats the purpose of going to the thrift store. Stay focused and only buy items you can really use. Some thrift stores use colored tags to price their items. Each week a different color tag goes on sale for 50 or even 75 % off. These are usually items that haven’t sold in a month or more but you can pick up some good deals if you are aware of the specials offered in your stores. You will not always find something. You may even go several visits without finding something. Don’t feel as though you have to buy something each time you go. You are there to find deals and save money. Spending it out of some kind of misplaced guilt will do you no good. This does not work very often, especially in the national chain thrift stores but sometimes you can get lucky. Occasionally something will be marked wrong and you can bring that to a manager’s attention. You might find several rolls of wallpaper you love and offer a price if you buy all of them. The thrift stores are there to make a profit too. Making a sale is better than keeping those rolls of wallpaper for months. Give back to your community by donating items you no longer use. You will make yourself known to the staff and a good rapport is a good thing to have. Plus you’ll be cleaning the clutter from your own home and keeping useful items out of the landfills. That sounds like a win-win to me. In an earlier post, I discussed where to find coupons to help you cut your grocery bill. By groceries, I am also including those things we shop for regularly like pet supplies, personal hygiene products and baby care items. Most people tend to pick these up weekly or monthly when they do their grocery shopping and there are coupons for many of these items too. Making the most of your coupons is an acquired skill, practiced regularly and honed over time. Each week presents an opportunity to improve your skills and enlarge your savings. The key to making it work is understanding how the coupon game is played. Manufacturers and retail outlets print coupons to get you to buy their products. Stores have sales to get you to buy their products. These events happen in cycles, especially for products people buy frequently like dish soap and laundry detergent. The key is plan ahead; match the coupon to the sale and stock up. If you use Tide laundry soap for example, you can find coupons for it about every six weeks. When it goes on sale at your favorite store, buy enough to get you through to the next sale. By using the coupon when the item is on sale you can greatly increase your savings on the item. By learning the patterns and buying in bulk, you will never have to pay full price again. There will always be coupons in your flyers that you don’t use. Maybe you don’t own a pet or have a baby in your life at this time but someone does. Find or set up a coupon swap in your area. There are lots of ways to do this. If you have a group of people who gather regularly for whatever reason, find out if they would be interested in d a weekly swap. It could be all the girls at your office, the moms who sit in the lobby during gymnastics practice, maybe even the entire congregation from church. Everyone brings their unwanted coupons and swaps what they don’t want for something they do. This is fun for friends and family who live a long way from one another. Collect a list of names and addresses of those who want to participate. The first person puts all her coupons in an envelope and mails it to the next name on the list. The next person takes out what they want and adds their own unwanted coupons and mails it to the next person. It adds a little excitement to your day when you find the envelope in your mail. “Couponing” is all the rage these days. Everyone is searching for ways to cut costs and the food budget comes under continual scrutiny. While coupons have been around for decades, the act of using them properly has recently been elevated to an art form. You can search all over the web and find testimonials from people who claim they save hundreds of dollars on their food bill by using coupons to the fullest extent? Is that possible? How do you do it? There are some tricks involved and you have to be willing to invest a little time in the effort. Traditionally, coupons come in the Sunday newspaper. There is one or more insert in each paper hat have that week’s coupons. These are generally accepted at most grocery stores, especially the national or big name chains. This is a good starting place as you receive quite a few in one place. Many manufacturers offer coupons through their websites. Some will even provide coupons if you “Like” their Facebook page. 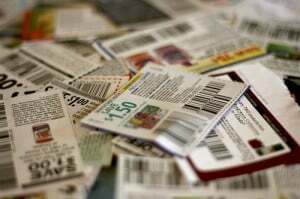 Proctor and Gamble, Betty Crocker and General Mills are just a few of the companies whose sites you can visit and collect coupons from. Stores will sometimes send you coupons, based on the purchases you have made or your being a “member” in some way. This could mean you have signed up for their discount card or you have a credit card from that store. Target and Kroger are examples of stores who do this. Other stores will print coupons along with your receipt. These are sometimes on the back of the receipt and are for discounts at area businesses or on a separate sheet and will relate to purchases you just made. For example if you bought a package of Huggies diapers, you might get a coupon to try Pampers diapers. Many online sites offer printable coupons. Coupons.com is such a place. You simply sign up and one of the options you can use is their printable coupon service. You scroll through the list of available coupons, select the ones you want and print them. Cut them apart and take them to the store to redeem. There is no guarantee that you will need all the coupons you find or how much you can save by using them. The trick is to use them wisely. In the next post, I’ll talk about how to make the most of your coupons. Saving money is a big priority for everyone today. Cutting costs on everyday expenses can in some cases mean the difference between being able to pay your bills or not. 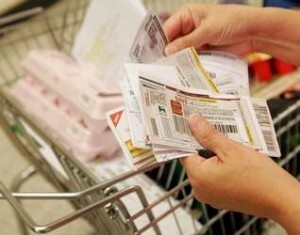 Many people are returning to coupon clipping as a way to cut food costs. Is coupon clipping the answer? Can you really save money by using coupons when you shop? A simple internet search will return hundreds of websites claiming to show you how to save money by couponing. I have no doubt that there is money to be saved by shopping prudently and using coupons judiciously. However there are some pitfalls the uneducated couponer might fall into. Manufacturers make money when you buy their products. Coupons are designed to get you to do just that. Sometimes the offer on the coupon seems so unbelievably good we can’t resist the temptation to buy the item – even when it is something we would never buy if we didn’t have that coupon in our hands. It is easy to get caught up in the idea of “how much you saved” by using coupons but if the item will sit in the cupboard forever, then what have you really gained. Use common sense when shopping with coupons. Be careful when you redeem your coupons. Often they are printed for a specific quantity or a particular size container. Often when a shopper has made the wrong selection, by the time they reach the checkout line, they just want to be done. When the cashier points out they have the wrong product or quantity, they go ahead and buy it anyway just to be done with it. The savings from the coupon is lost because the customer will probably not need to buy more of it before the coupon expires. Many of us regularly shop at discount stores such as Save-a-Lot or Aldi’s. These stores offer knock off brands at lower prices than name brands in the chain store outlets. Often, these knock offs are the same exact product as the name brand ones just in different packaging. You can save money by buying these each week instead of hoping and waiting for a sale and a coupon on the name brand item at the bigger stores. It is true that when you combine a sale and a coupon, you can beat the discount store prices but that doesn’t happen very often. Couponing can be a valuable tool for cutting grocery costs and I encourage you to try it if you haven’t already. Just be a savvy shopper.